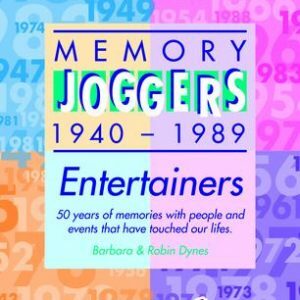 Memory Joggers – Entertainers consists of 50 flashcards that introduce people like Bill Hayley, a young Frank Sinatra, the Goons, the Beatles and other favourites such as Violet Carson, Morecambe & Wise, Marilyn Monroe and Elizabeth Taylor. Each card includes brief biographical notes and ideas for use in reminiscence group activities designed to trigger treasured memories, create interaction and help stories flow. 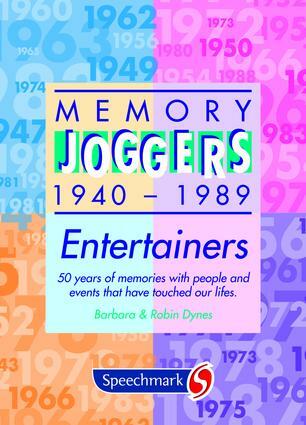 Memory Joggers Entertainers introduces one card for each year from 1940 to 1989. Some cards are in black and white, and some are in colour. © 2019 Box ‘n’ Dice. All Rights Reserved.